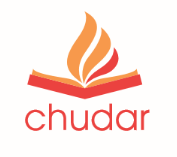 Chudar strives off a strong volunteer base and connects hundreds to exciting initiatives and projects. 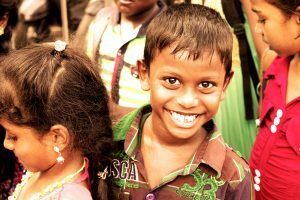 ​Become a volunteer for Chudar and join our team to use your talents to help children across Tamil Nadu! "I started to volunteer for Chudar as I felt that the organization had good motives and projects, which I wanted to be a part of. It was a new type of experience for me as I had not volunteered for an organization like Chudar before. After spending time with the children at the centers, I gained a new-found appreciation for their capabilities and maturity. The organization and arrangements made by Chudar also allowed for my experience to be a memorable one!" 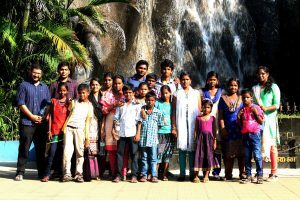 "Volunteering with Chudar was a very different but rewarding experience! At first I thought that it would be a difficult task to manage a large number of children. However, they were cooperative and I had a lot of fun spending time with them. Personally, after spending months on college work and exams, this volunteering experience served as a great way to let off steam and enjoy living in the moment. Chudar is doing a great job on working with education and being able to be part of the process was unforgettable. Thanks a lot team!" 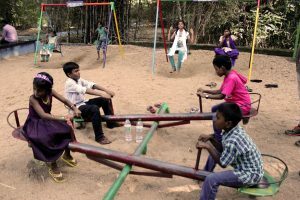 "From the moment that I walked into the centers and saw that all the children were rushing towards us, I instantly knew that this experience would be one of a kind! The community felt like being part of family as all the events went smoothly and comfortably. I wholeheartedly applaud the team at Chudar for their work and their tremendous efforts at providing a platform for volunteers. I will never forget the feeling of genuine happiness that I felt while being part of this initiative." "The kids at the centers were definitely the best part of volunteering with Chudar! Their energy and willingness to learn made it the projects we were working on much easier. It’s great being able to take part in an opportunity that goes towards shaping the future of these children." I first got to know about Chudar through Rishi who was my school mate in high school. I was very interested in doing some volunteering work. So I reached out to him and I started visiting our Adyar center. I initially only conducted fun activities for the kids but soon after I started to teach them Math. For me, the teaching experience was more fun and I loved every minute that I spent with the kids. I myself learnt a lot of important values throughout my time with the organization. It also gives me genuine pleasure to see the impact that I made in the time that I have been here and I hope to continue volunteering with Chudar for as long as I can because I believe in our vision and love the work that we do here. I would like to thank Chudar for giving me such an amazing opportunity and experience that I will always cherish. A BIG congratulations to the team at Chudar for coming up with such a great initiative like this and wish them all the best for the future that I am very much looking forward to be a part of. Over the past two weeks interning at Chudar’s main office, I’ve had the opportunity to visit the Kotturpuram after-school center a few times. Each time, I’ve come back with more inspiration and awe. The children at the center are so full of life and love for learning, you can’t help but feed off their motivation. I was tasked with taking pictures of the children at work, and was met with 14 excited smiles and endless giggling. As they worked on subtraction and addition, I sat down with a few to guide them through the problems, but the children didn’t require much help. They happily worked through the problem sets, helping their classmates along the way. There was a clear sense of community at the center, not only between the students, but with the tutors as well. The tutors are noticeably invested in the children, and their undeniable dedication to education is exactly what these areas need. Visiting the center served as confirmation that our work back at the office is more than worth-while. Chudar has established a sense of confidence in the children that need it most, and I’m so thrilled to be a part of this initiative!